The Pizza Guys of Carbondale are Growing Up Fast! 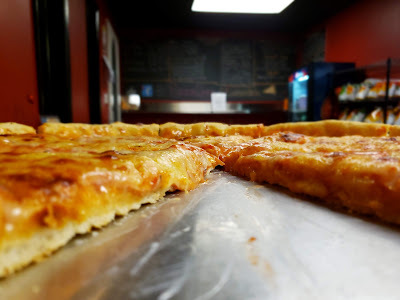 As with many places I have not yet visited, Pizza Guys of Carbondale has been on my hit list for quite sometime mostly because I follow them on social media and they do great things with their facebook page and the pizza looks unique and delicious. I made a couple of attempts to visit in their old location, but just wasn't successful due to timing of my visits. 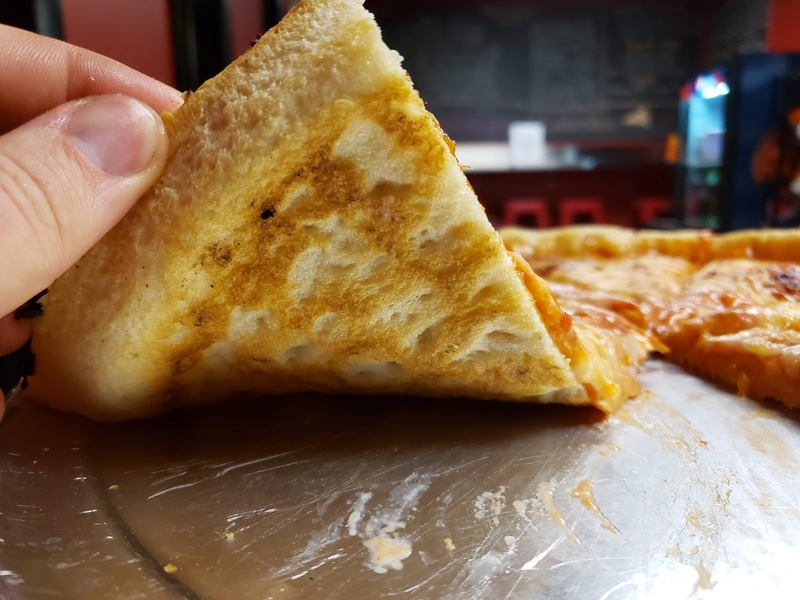 The old building opened about three years ago and was tiny, but in August of 2018, the Pizza Guys have moved across town to the industrial park on Scott Street in a larger and nicer location. The new location was very easy to find and parking was ample. When I entered, I found the place to be super clean, well decorated, organized, and best of all - it had a view of the kitchen and pizza station! Anyone who has read my articles knows, I'm a total nerd when it comes to restaurant operations and pizza processes so anytime I get a glimpse of the pizza counter and ovens, I get excited. The kitchen and dining area were both impeccably clean which is always a plus, but not necessarily something you see everywhere to this degree. I noticed at the counter, they had a Valentine's Day giveaway running and after I placed my order I was given a ticket to enter. If you follow The Pizza Guys on Facebook, they seem to have giveaways and specials several times per week, so they are a must follow! A few things to know about the pizza available here. They offer four different base styles of pizza as well as a ton of designer pizzas. The pizza that I ordered was Peckville style and is their most popular style. 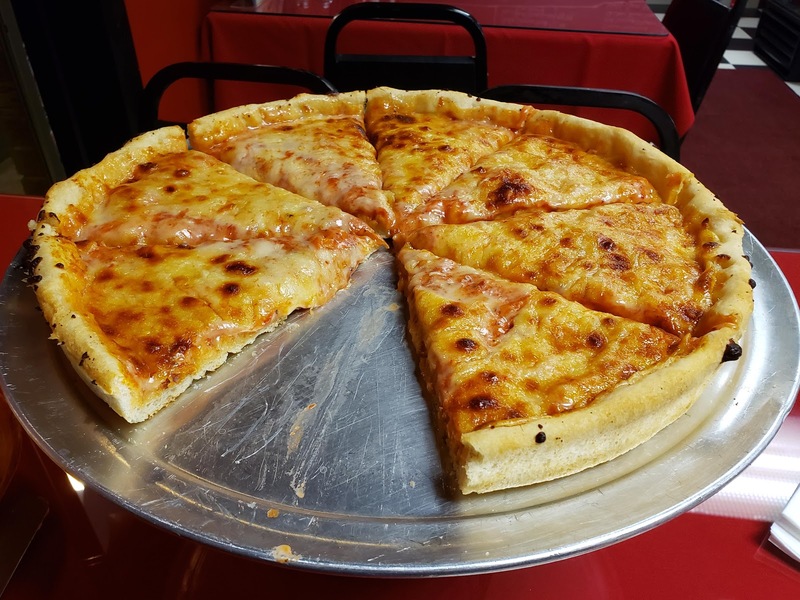 It's made on a homemade airy dough and topped with sauce and creamy cheeses. The closest thing to this style of pizza you will find in NEPA is at Andy's in Peckville. 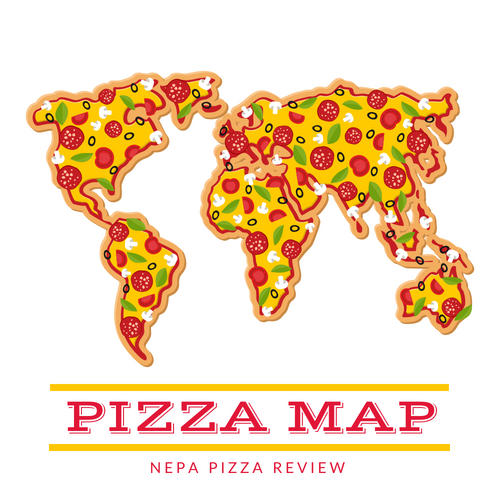 They also offer New York style pies and Old Forge trays which require no explanation to the pizza savvy NEPA Nation. 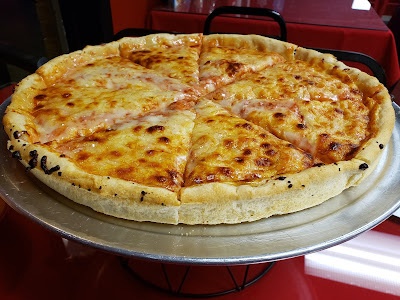 Finally, the Carbondale style pizza is an Old Forge style dough and is topped with sauce and mozzarella cheese - perhaps an Old Forge/Sicilian hybrid, if you will. 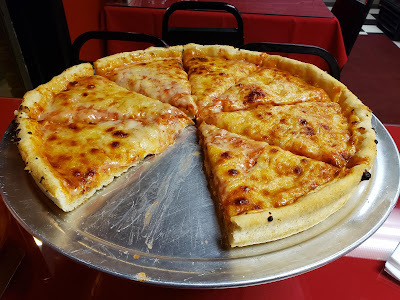 I always go with a plain cheese of the most popular varietal, so a 14 inch, 8 cut Peckville pizza for $10.99 was on the menu for me. 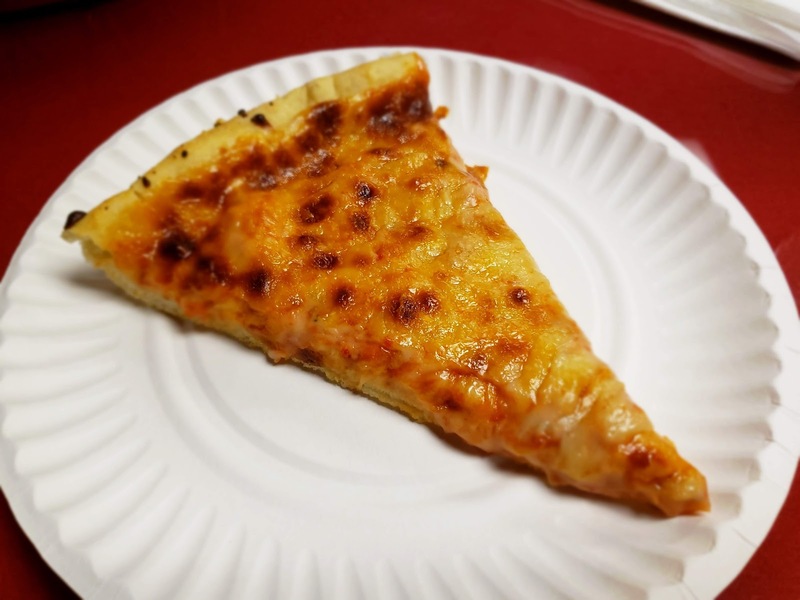 After placing the order, I watched my pizza get carefully crafted from fresh dough pressed out in a pan, then generously topped with sauce and cheese. As the pizza was cooking I introduced myself and found myself talking to the owner who is a great guy who was very generous with his time on a busy evening. I learned a bit about his dough and it's unique use of a yeast that isn't typical in many local pizzerias. He consulted with "Cousin Jay" from the show "Cake Boss" to learn more about the complex components and ingredients in dough to develop his recipe. The dough process was described as more similar to aged cheese or micro-brewed beer which both get better with age. The pizza was ready in no time at all and it was time to put this fine wine theory to the test. From first sight, I could tell that this pizza was all about the crust. 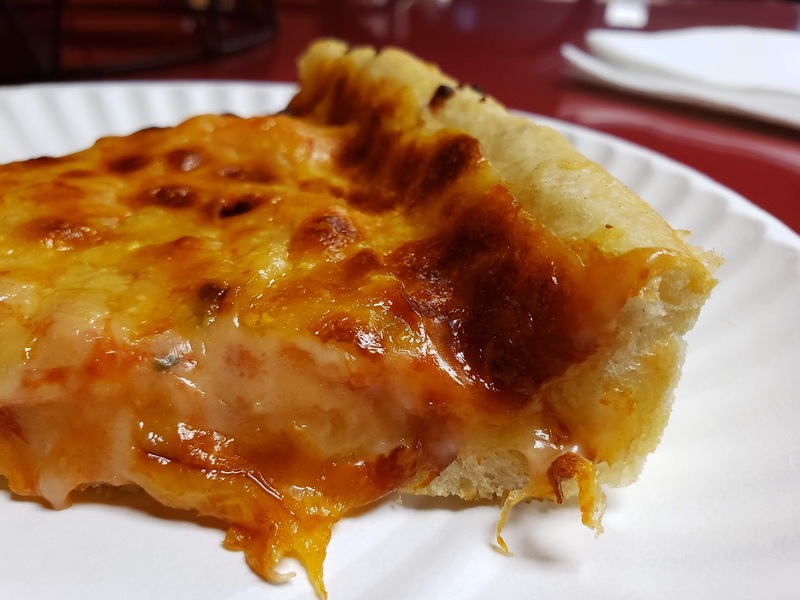 It's distinct sharp and high edge provided a sturdy structure to hold the generous amounts of sauce and cheese, while the thick bottom provided a fluffy pillow of dough for the ingredients to rest upon. I tackled this one backwards taking a bite of the edge crust first and I was surprised at how much flavor it had. There was some clear evidence of a slow fermentation process that allowed flavors to develop over time. The dough almost had a smooth sweetness to it and the soft aroma was intoxicating. It was crispy on the outside, but also soft and tender in the middle. The dough was light, airy, and quite tender. The sauce was vibrant, well seasoned, and provided a bit of a kick that was necessary to offset the thicker dough. The cheese blend also provided a richness and saltiness to create some variation and balance to the pie. 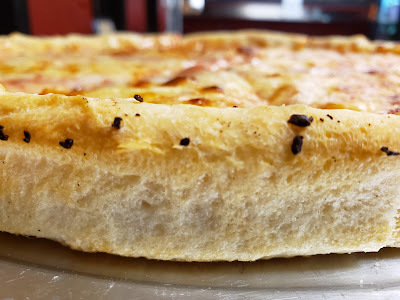 Sometimes a thicker, more bread-like dough can become monotonous to eat, but the flavors and textures here kept each bite interesting and delicious. Overall, I very much enjoyed this pizza. A lot of people have read about my preferences in my articles and know that I'm a NY style fan, but I don't let my preferences get in the way of an honest review. I can usually tell when a pizza is carefully crafted from fine ingredients and intelligent processes and this pizza falls comfortably into that category. Moreover, I enjoyed my brief stay at the Pizza Guys of Carbondale. They really know how to treat their customers well based on the interactions I saw. 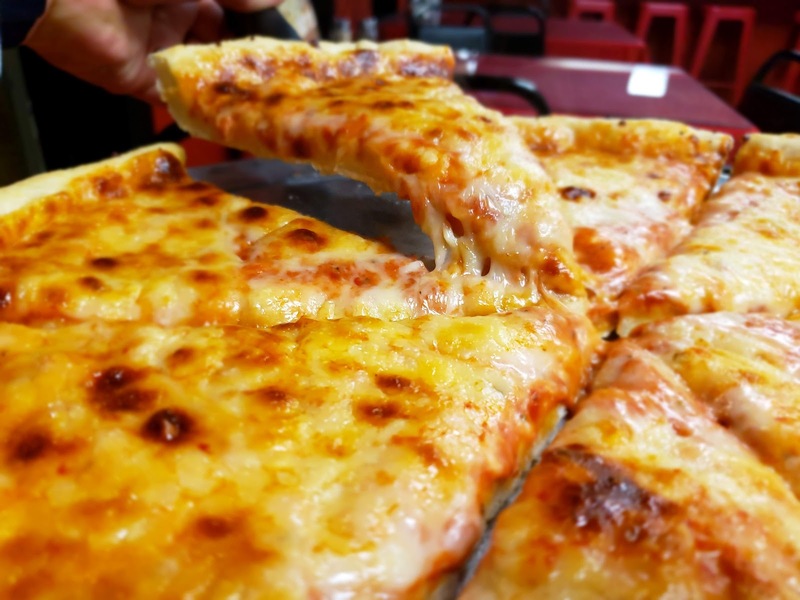 The Pizza Guys may have only been around for about three years, but from what I consistently see on social media and in the news, they are growing rapidly and becoming a good citizen in the community. They also have dine-in, take-out, and delivery options. If you're looking for a pizza that's a little different than most, great service, and likely a chance to win a prize, then the Pizza Guys is the place for you! Have you tried Pizza Guys yet? Hit me up in the comments below and let me know your thoughts!